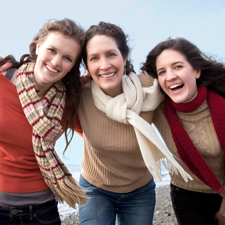 Our White Lake dentists offer patients both traditional and advanced procedures for maintaining healthy teeth and gums — and their overall health — throughout their lifetimes. Our dental procedures are performed by dentist James A. Bedor DDS — right in our White Lake dental office. 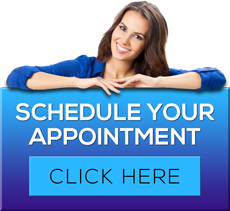 Today’s advanced dental techniques used by our experienced White Lake dentists, provide you with different options for enhancing your smile. Preventive dentistry covers several routine dental services, such as exams, gum disease treatments, cleanings, fillings, sealants and oral cancer screenings. At the White Lake MI dental office of James A. Bedor DDS, our primary goal is simple: to prevent your need for extensive restorative or cosmetic dental procedures. Through regular maintenance, our White Lake family dentist can help you prevent poor oral health due to decay and disease — problems that can negatively affect your overall health and well-being. Maintaining good oral hygiene remains one of the most important things you can do for your teeth and gums. Healthy teeth and gums help you to not only look and feel good, but they allow you to eat and speak properly. Our caring and professional staff stresses daily preventive care — such as proper brushing and flossing — to prevent more serious problems from developing. Between regular visits to our full-service White Lake dental office, there are simple steps you can take to greatly decrease your risk of developing tooth decay, gum disease and other dental or medical problems. The best way to prevent excessive plaque buildup is to schedule a professional cleaning with a White Lake dentist or dental hygienist every six months. Plaque that is left untreated can lead to unhealthy gums and tooth decay. A routine dental cleaning lasts about one hour and will usually include scaling and polishing. In order to maintain a healthy smile, it is important that our White Lake dentist performs comprehensive examinations of your overall oral health. Using advanced dental technology, such as digital x-rays, we can effectively monitor the condition of your teeth and identify early signs of decay. If you have a tooth that requires a filling, our knowledgeable White Lake dentists will remove the decayed material, clean the affected area and then fill the cavity with a filling material. This filling will help to prevent further decay by closing off any cracks or spaces where bacteria can enter and cause harm to the tooth. In America, oral cancer kills more people each year than skin and cervical cancer combined. At our White Lake dental practice, we perform oral cancer screenings utilizing visual inspection and manual palpation. In addition, we have the latest technology in oral cancer detection. Our oral cancer screening system helps your White Lake dentist visualize abnormalities in the mucosal tissues of your lips, mouth and upper throat. An oral cancer screening examination will allow your dentist to more accurately assess your overall oral health. To learn more about White Lake preventive dentist James A. Bedor DDS or to request an appointment, please contact us here or call our office directly at 248.698.8330.